I have a few comments about Enrique Peñalosa's recent TED talk, which has been making the rounds. I'll say up front that he makes a lot of very good comments and it is worth watching. He's right: a bus with 80 people ought to have dedicated lanes. The streets should be safe for children and families. We have to rein in sprawl. But I have some criticism of the example pictures that he shows. I think that they undermine his message. 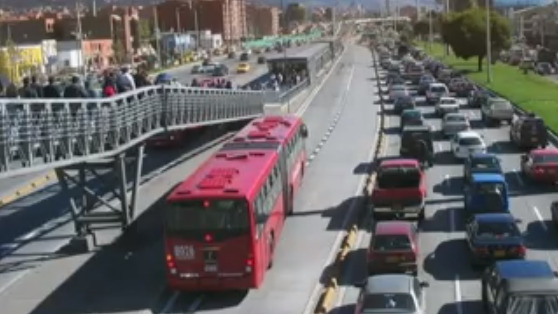 Here we see his example of a bus rapid transit system in his country. I'll say that from a technical perspective, it's pretty neat. Cheap labor costs, reuse of existing roadway, good ridership all make this a cost-effective project. The big problem is the location. This is highway-median transit. Look at what the people have to walk across just to get to the station. The 3 lanes of cars that you can see are only a fraction of the total. There's even more lanes of cars outside the frame of the picture, on the other side of the pointlessly landscaped median. This is about as anti-urban a scene as you can get. For all that he talks about equity for people, this is an example of a highway where the vast majority of the space is dedicated to private automobiles. And I think that this is a miserable example and it won't inspire anyone to want to copy it. It puts the transit in a very inhospitable location. This is an example from Guangzhou, China. It's slightly better, in that there's only 6 lanes of traffic surrounding the busway. But it's still a hideously wide, Hypertrophic corridor: there's even grade separation of pedestrians. You can't cross this street without going up and over. It's a highway. If you want to talk about superiority over subways, then you need to show us a corridor with urbanism that matches what a subway can provide. This is not that. This is not human scaled. This is a massive hole in the city. A terrifying vision, Enrique Peñalosa's "Radiant City"
Now, at this point in the TED talk is where Peñalosa goes off the deep end. The last 2 pictures could have been dismissed as just unfortunate choices. But this here is his "vision" of the city of the future. And it is HORRIFYING! The picture painted here is one that might make Le Corbusier's heart warm. Towers in the park. Giant highways. Grade separated pedestrian ways. It's practically a compendium of what-not-to-do in urban areas. This is a vision which was implemented in 20th century cities and turned out to be a complete disaster (e.g. 1950s public housing projects). What in the world is Enrique thinking? Isn't that obviously much better? Life, people, a human-friendly street and neighborhood. Simple. But not from Colombia. I don't know what to make of Enrique Peñalosa in this talk. On the one hand, he says lots of good things, and even shows some nice pictures from places like Amsterdam. On the other hand, he highlights examples from his own country that look like the worst of the tragic mistakes from 1950s urban planning. Strongly agree -- why on earth does he want to replicate Soviet atrocities when a highly dense form suitable for pedestrian/transit living, that is also beautiful, vital, and human, is already existing in Colombia? What also really jumps out at me from all those 'Radiant City' drawings these guys put out is the strong atomization inherent in their environments. You have totally private space in the apartments of those towers, and then totally public, exposed space in the form of massive carriageways/green space. They've lost the intermediary vocabulary of courtyards, alleys, lanes, streets, patios, balconies that provide a healthy intermediary space that allows human beings to merge in and out of public and private. You can see Peñalosa maybe grasping at this a little with those shared patios on top of his Radiant Towers, which is a minor improvement. ```Do not project developed-world urbanist expectations onto the developing world! And do not let your aesthetic preferences make you an opponent of liberation. 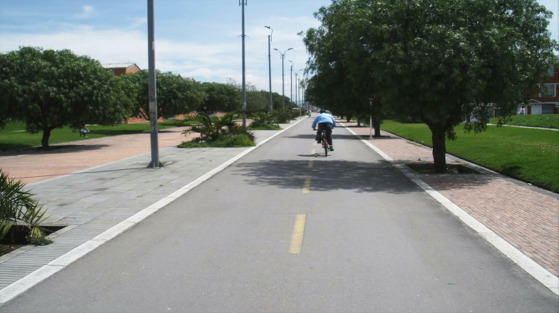 Developing world BRT is about moving great masses of people who already have a disincentive to driving, and the standard busy-road-median, while not ideal urban design, is an overwhelming, transformative improvement in millions of lives. The developing-world reality includes weak law enforcement, so transit lanes need to be self-enforcing. That's why you see the emphasis on infrastructure that protects transit speed and reliability. Yes, developing world people love the small town ambience too. But they must work with the cities and right-of-way opportunities that they have. And the must move masses of people that just don't fit through a cute urban design where everything is slow and mixed. work on BRT that he helped bring about. buy cars, even if they cannot afford it. Jarrett writes: ```I do think Penalosa is making most of his mark in the developing world, which, we must remember, is most of the world. The Latin American BRT standard is having a huge impact across many countries that I follow, including all of low-income Asia and Africa. I'm glad that he is getting some good stuff done. please some aesthetic preference of an elite (e.g. Paris). The discussion on superblocks was interesting. Unfortunately, I think the upfront appeal of the superblock in the developing world that Jarrett described - its purported ease in accommodating rapid urbanization - leads to its downfall as a supportable (or "sustainable" if you will) typology later on. Yes, as Jarrett said, it's possible to have superblocks frequently parsed by walkways and bikeways, and there are not a few examples of this - even among the few surviving US housing projects. But people don't use walkways or bikeways just because they're there. 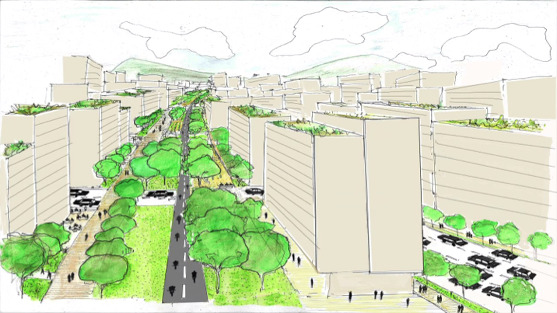 If there's a walkway connecting two miles' worth of superblocks with nothing but housing and a few convenience stores on them, will anyone use them? 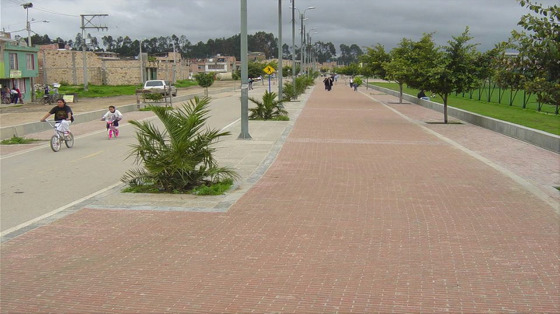 Perhaps in the developing world, where there's less transportation choice, people might be compelled to travel on these walkways/bikeways further than anyone in the developed world would, but isn't this still extraordinarily poor design: doesn't it put *unnecessary* burdens on residents? To expand, it's theoretically possible to build a superblock so fine-grained in its mixture of residences/work/shopping/entertainment (and pathways connecting these things) that it would essentially function like a traditional city block(s). But accommodating this richness would hamper the very development "efficiency" that Jarrett mentioned! The superblock is desirable in the developing world precisely because it allows poor municipalities to bypass the "fine-graining" process in their rush to urbanize. So there's really no advantage in asking for thoughtfully-composed superblocks if you want to save time and money - you might as well ask for traditional city blocks! There's ultimately every incentive to compose sloppy, single-use tower districts, interspersed with a couple shopping centers. *I was in Poland a few years ago, and during the communist era they built many such superblock housing districts interspersed with shopping centers. Of course, during the communist era most people were too poor to have cars, so there was a LOT of transit ridership in and around these superblocks - again to travel to things that were too far away to walk to thanks to the superblock pattern! But now car ownership is *exploding* in Poland, and guess where it's rising fastest? Apart from small towns and rural areas, it's ballooning among the superblocks: many former "green spaces" in between the towers are turning into parking lots. Walking among superblocks is unpleasant, but doable if you have no choice. It gets a bit easier if you can take a bus. It gets a LOT easier if you have a car! It's no different from suburbia, really. ...the shantytown! They begin as squalid slums, and over the generations they molt into hospitable and even desirable neighborhoods (assuming there is enough political/social/economic stability to support the evolution). This is, in fact, how all the first world's "aesthetic" urbanism started, and I'm not convinced that the top-down stamping-out of superblocks has the same ability to age, adapt, and support itself (All the old superblock examples keep dying, all the new examples are just that: too new.) Has a tower block dormitory ever been able to transition into anything else without top-down "renewal?" Or an office park? Or a shopping center? 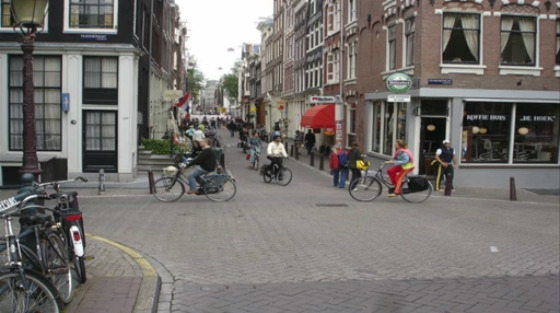 Almost all the discussion on making superblocks "walkable" focuses on the theoretical possibility of infusing their interiors with enough walkways and bikeways so the superblock feels like an agglomeration of smaller blocks. 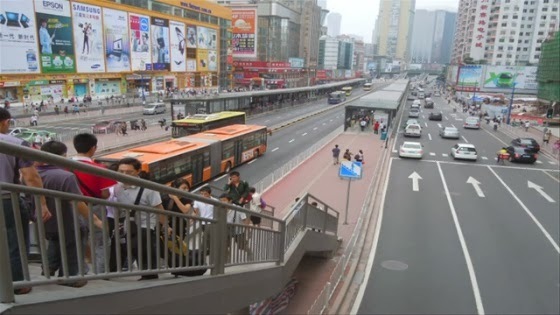 Right now, perhaps because they're still self-evidently necessary for so many people, developing nations are still putting pedestrian tunnels (sometimes connecting to metro stations) or pedestrian bridges (sometimes connecting to BRT medians) under or over these arterials to facilitate inter-superblock pedestrian travel. But what happens when these societies reach their wealth tipping-points and their DOTs, under the incessant pressure to value engineer and rededicate resources to the rising crush of cars, stop putting in these meager pedestrian connections altogether? The earliest first world superblock proposals looked so seductive on paper, partly because they contained so much elaborate pedestrian infrastructure exquisitely protected from cars. But public finances are always limited - especially in the developing world! - and it wasn't long before the pedestrian accommodations in first world superblocks vanished. How long before a financially-strapped developing world, under the rising pressure to spend on cars first, does the same?